Milan Radosavljevic | I.K International Publishing House Pvt. 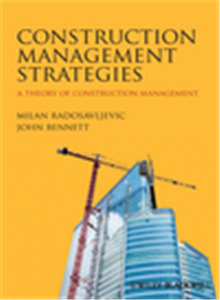 Ltd.
Milan Radosavljevic, Lecturer in the University of Reading's School of Construction Management and Engineering following several years as a Demonstration Projects Coordinator for Scotland and as a Production Director within an off-site construction company in Central Europe. His award winning PhD research used chaos theory in the development of the novel Process Planning Methodology. He is Director of the prestigious Reading MSc in Project Management and his interests are focused on the role of Building Information Modelling in production management within the Total Construction Service strategy.